Warm, sunny days are just weeks away for many of us, and that means you can start wearing open-toed shoes and sandals – unless you have ugly fungus around your toenails. You can do what you’ve done in the past and try hiding the problem cosmetically, but the fungus may continue to grow and very likely spread. So, unless you want to wear socks with your sandals, it’s time to do something about your (or your spouse’s) embarrassing toenail bed fungus. But you better start treating it soon. The good news: you have plenty of options for clearing up the fungus, including prescriptions and some over-the-counter products – and a go-to secret that’s trusted by doctors. 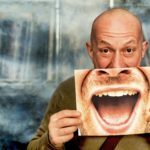 There are many prescription oral and topical choices available, though the possible drawbacks and risks of some may outweigh the benefits. One problem with popular prescription treatments, aside from having to wait to see your doctor and the inconvenience of a doctor visit, is the cost. Your insurance may not cover the drugs, and they can be expensive. Worse than spending money out-of-pocket, some of the drugs can pose serious health risks. You may already be taking a number of medications for other common conditions, and you might be reluctant to add another that has potentially serious side effects. Also, since some oral anti fungal prescription medications can affect the liver, patients may be required to have their blood drawn regularly to make sure the liver remains healthy. Many people believe you can only get “real medicine” from a physician, but you don’t have to wait to see your doctor to start treating your nail bed fungus before summer – or any time of year. The real secret to healthy-looking toes is actually an over-the-counter liquid with a proven anti fungal medicine. FungiCure® topical liquid offers the strongest anti fungal medicine available without a prescription. Fungal infections on your toes will not clear up overnight. However, you can start killing the fungus today with a safer, highly effective medicine. The sooner you start, the sooner you’ll begin to see healthy-looking toes again– maybe even in time for sandal season. Don’t hide your toes when the weather gets warmer. 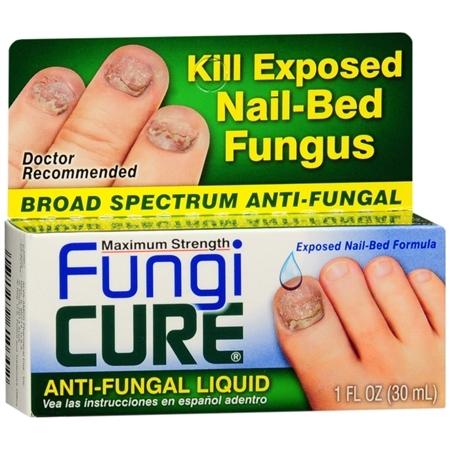 Start using the secret trusted by doctors and thousands of users to kill embarrassing nail bed fungus. FungiCure is available nearly everywhere you shop for over-the-counter medicine, including Walmart, Rite Aid, CVS/pharmacy and Walgreens.